The main difference between cytokines and interleukins is that the cytokines are small proteins involved in cell signaling whereas the interleukins are a group of cytokines that regulate the immune and inflammatory responses. Cytokines and interleukins are two types of signaling molecules involved in mediating the responses of the immune system. Furthermore, cytokines can act as autocrine, paracrine or endocrine regulators while interleukins were first seen to be functional between leukocytes. Cytokines are small proteins secreted by the activated cells of the immune system in order to affect other cells. They can be either polypeptides or glycoproteins as well. The main function of cytokines is to regulate the nature, intensity, and the duration of the immune response by binding to the receptors on the target cells. Cytokines regulate hematopoiesis as well. 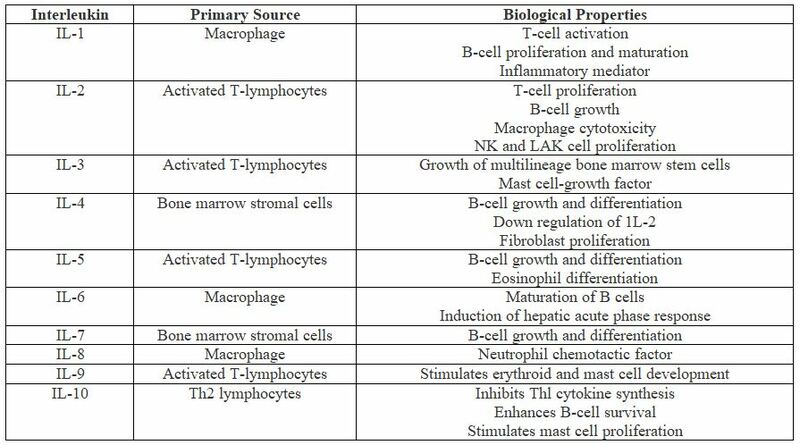 Some of the characteristics of cytokines are as below. Induce the formation of cytokine receptors. Four Structural families of cytokines can be identified. They are hematopoietin family (IL-2, IL-4), interferon family (IFN-α, β, γ), chemokine family, and tumor necrosis family. 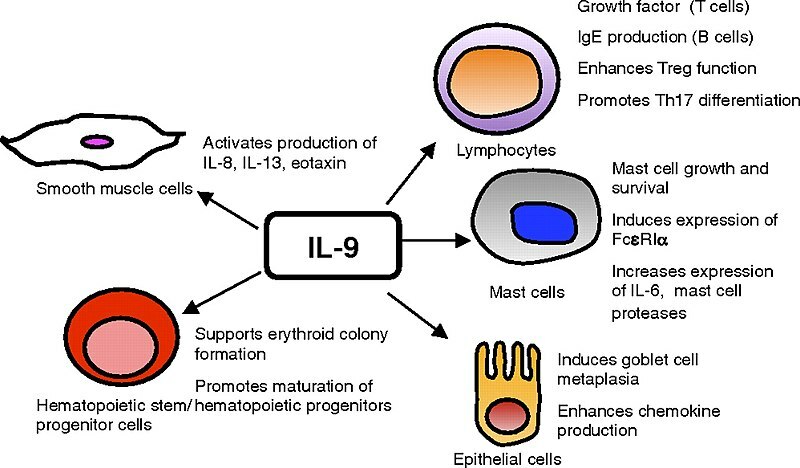 Interleukins (IL) are a group of cytokines first seen to be expressed by leukocytes. But, later it was found that they were produced by many immune system cells. They activate the proliferation, differentiation, maturation, migration, and adhesion of immune cells. They can exert pro- and anti-inflammatory functions as well. The action of interleukins can be either autocrine or paracrine. Different types of interleukins can be found in the body and they are named as IL-1 to -40. The origin and the biological properties of some of the interleukins are listed below. Cytokines and interleukins are two types of signaling molecules in the immune system. They are small proteins, polypeptides or glycoproteins. Both regulate the nature, intensity, and duration of the immune response. Also, they bind to the receptors of the target cell with a high affinity. Both can be pleiotropic and redundant. 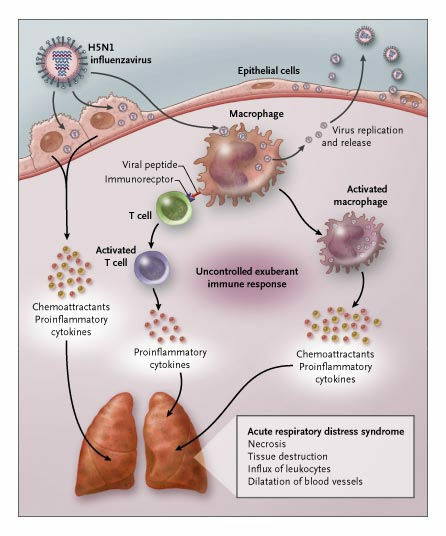 Cytokines refer to a number of substances, such as interferon, interleukin, and growth factors, which are secreted by certain cells of the immune system and have an effect on other cells while interleukins refer to any of a class of proteins produced by leucocytes for regulating immune responses. Cytokines are a large group of signaling molecules while interleukins are a subfamily of cytokines. This is a main difference between cytokines and interleukins. Another difference between cytokines and interleukins is that the cytokines can have either autocrine, paracrine or endocrine action while interleukins have either autocrine or paracrine action. Yet another difference between cytokines and interleukins is their function. While cytokines regulate the nature, intensity, and duration of the immune response, interleukins induce the proliferation, differentiation, maturation, migration, and adhesion of cells of the immune system. Cytokines are small proteins molecules produced by the cells of the immune system. They involve in the cell signaling. Interleukins, interferons, chemokines, and tumor necrosis factors are the four types of cytokines. Interleukins are mainly involved in the proliferation, differentiation, and maturation of immune system cells. 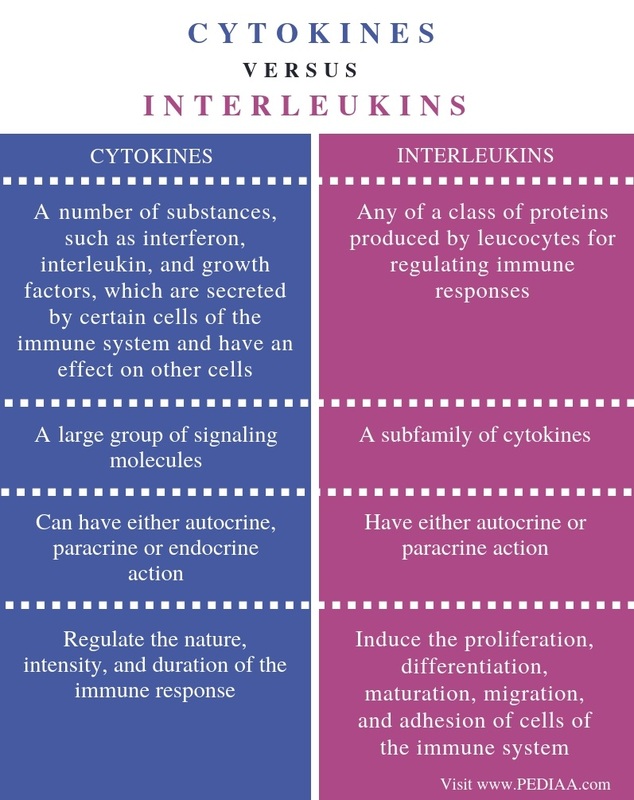 The main difference between cytokines and interleukins is their function.